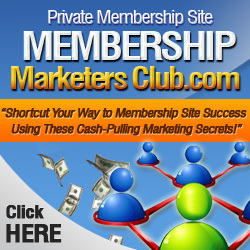 You are here: Home / Make Money Online / Is Starting a Membership Site for You? The Internet is the ultimate ‘equal opportunity employer’. Anybody can start a membership business on the Internet. All that is needed is a subject, a website and the tools to build the site. You can start a membership website business but the question is should you? Many people that decide to start a home based membership website business are destined to fail because their motivation and expectations are completely unrealistic. Before you attempt to start a membership website business you need to do a reality check. First, if you really think that you can build a couple of web pages, invest little or no money, time or effort and start making an income tomorrow, you are so wrong. Building a business…any business…takes time. It also takes a monetary investment, a lot of effort and energy, and, above all else, patience, passion for the theme of the website, and a drive for success. Almost equally important is the need to have realistic economic expectations when undertaking a home based membership website business. A home membership website internet business provides many rewards such as working in the comfort of your own home, avoiding a stressful commute, being your own boss, setting your own hours, no dress code, etc., etc., but anyone that is also expecting instant riches is sadly mistaken. Study the opportunities of a membership website business carefully. If you have the personal traits required to succeed then select the theme that seems to fit your own particular interests or talents. What is a good choice for one person may be a very poor fit for someone else. The common thread that applies to everyone is that you must passionately believe in what you are doing and anything less than total commitment isn’t enough.